Have your favourite drink at your table, with elegance and perfection. It is a very versatile accessory that allows several ways of use. It combines functionality and aesthetics and is therefore a must-have. 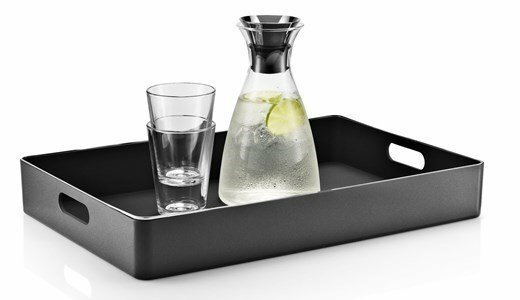 At the table, it will be the protagonist: and everyone will want to use this Carafe! With its minimalist design, it does not compromise the decoration and can attend any program: a movie night at home with a juice, a dinner with friends with a good wine. A winning product, with multiple prizes and distinctions, that you can display in your home! With its patented dip-free system from Eva Solo, there will be no drop on your tablecloth. No waist! 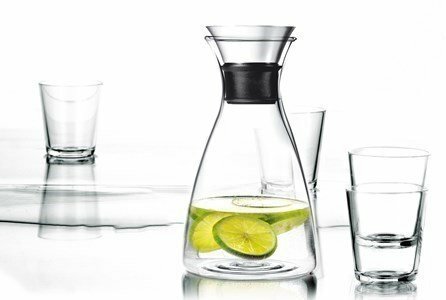 You can use this carafe for water, juices or even for decanting and serving wine. 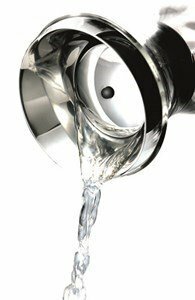 The lid, sold separately, is made out of polished stainless steel and silicone rubber, making it easy to clean. With its closing system there is no contact between the liquid and the exterior. By tilting the carafe, the lid will open automatically.